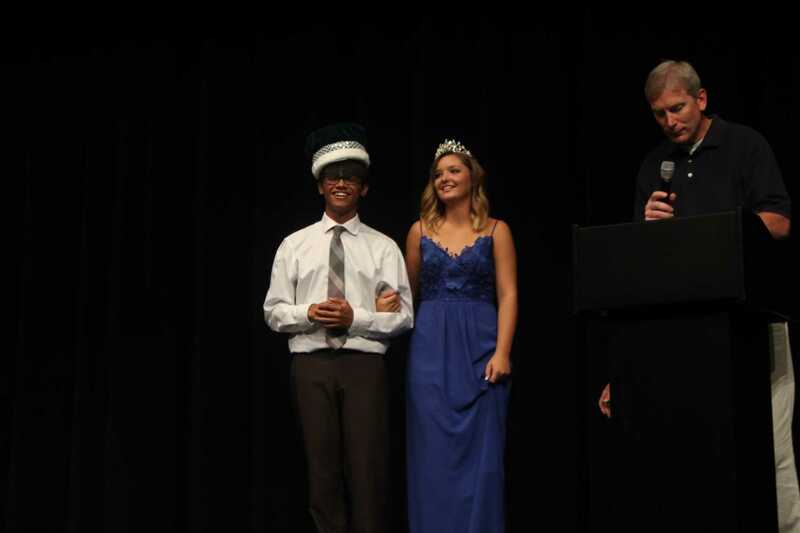 This year’s Homecoming King and Queen are seniors Luigi Lopez and Hanna Blom. Both Luigi and Hanna are heavily involved in the fine arts at Pella High. This year also marks the fourth year in a row that band kids have dominated the court. “I think band is such a great activity, because it really does seem to help students become well rounded, such as being respectful, hard working, responsible, and disciplined. A lot more goes into band than most people realize… I also believe that band gives so many opportunities for new and maybe unusual relationships/friendships because people from all different friend groups and interests are thrown together, including upperclassmen mixed in with underclassmen,” said Blom. Not only is Homecoming for welcoming back past students of Pella High, for both Lopez and Blom, Homecoming is also a time for fun and relaxation. “I think homecoming is important because it’s a good time for everyone to be relaxed, show spirit in the school, and to have a great time with each other,” said Lopez.